Wish You Were Here is the ninth studio album by the English rock band Pink Floyd. It was released on September 12, 1975 in the United Kingdom by Harvest Records and a day later in the United States by Columbia Records, their first American release for the label. Based on material Pink Floyd composed while performing in Europe, Wish You Were Here was recorded over numerous sessions at Abbey Road Studios in London. Two songs criticise the music business, another expresses alienation and the multi-part composition “Shine On You Crazy Diamond” is a tribute to Pink Floyd founder Syd Barrett, who left seven years earlier due to his troubled mental health. As with their album The Dark Side of the Moon (1973), Floyd used studio effects, synthesizers and brought in guest singers, Roy Harper, who provided the lead vocals on “Have a Cigar” and Venetta Fields, who added backing vocals to “Shine On You Crazy Diamond”. Pink Floyd were an English rock band formed in London. They achieved international acclaim with their progressive and psychedelic music. Distinguished by their use of philosophical lyrics, sonic experimentation, extended compositions, and elaborate live shows, they are one of the most commercially successful and influential groups of popular music history. Pink Floyd were founded in 1965 by students Syd Barrett on guitar and lead vocals, Nick Mason on drums, Roger Waters on bass and vocals, and Richard Wright on keyboards and vocals. They gained popularity performing in London’s underground music scene during the late 1960s, and under Barrett’s leadership released two charting singles and a successful debut album, The Piper at the Gates of Dawn (1967). Guitarist and vocalist David Gilmour joined in December 1967; Barrett left in April 1968 due to deteriorating mental health. Waters became the band’s primary lyricist and conceptual leader, devising the concepts behind their albums The Dark Side of the Moon (1973), Wish You Were Here (1975), Animals (1977), The Wall (1979) and The Final Cut (1983). The Dark Side of the Moon and The Wall became two of the best-selling albums of all time. Following creative tensions, Wright left Pink Floyd in 1979, followed by Waters in 1985. Gilmour and Mason continued as Pink Floyd; Wright rejoined them as a session musician and, later, a band member. The three produced two more albums—A Momentary Lapse of Reason (1987) and The Division Bell (1994)—and toured through 1994. After nearly two decades of acrimony, Gilmour, Wright, and Mason reunited with Waters in 2005 to perform as Pink Floyd in London as part of the global awareness event Live 8; Gilmour and Waters later stated they had no plans to reunite as a band again. Barrett died in 2006, and Wright in 2008. The final Pink Floyd studio album, The Endless River (2014), was recorded without Waters and based largely on unreleased material. The Dark Side of the Moon is the eighth album by English rock band Pink Floyd, released on 1 March 1973 by Harvest Records. The album built on ideas explored in earlier recordings and live shows, but lacks the extended instrumental excursions following the departure of founding member and principal contributor, Syd Barrett, in 1968 that characterised their earlier work. It thematically explores conflict, greed, the passage of time, and mental illness, the latter partly inspired by Barrett’s deteriorating mental state. Developed during live performances, an early version was premiered several months before recording began; new material was recorded in two sessions in 1972 and 1973 at Abbey Road in London. The group used some advanced recording techniques at the time, including multitrack recording and tape loops. Analogue synthesizers were prominent in several tracks, and snippets from recorded interviews with Pink Floyd’s road crew and others provided philosophical quotations throughout. Engineer Alan Parsons was responsible for many distinctively notable sonic aspects and the recruitment of singer Clare Torry. 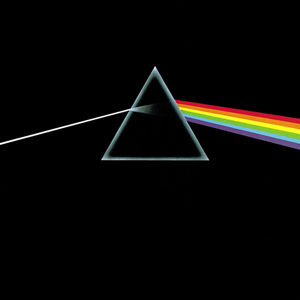 The album’s iconic sleeve, designed by Storm Thorgerson, depicts a prism spectrum and represents the band’s lighting, the record’s thematic material, and keyboardist Richard Wright’s “simple and bold” design request. The album was an immediate commercial and critical success; it topped the Billboard Top LPs & Tapes chart for a week and remained in the chart for 741 weeks from 1973 to 1988. With an estimated 45 million copies sold, it is Pink Floyd’s most commercially successful album and one of the best-selling worldwide. It has been remastered and re-released twice, and covered in its entirety by several other acts. It produced two singles, “Money” and “Us and Them”, and is the band’s most popular album among fans and critics, being ranked as one of the greatest albums of all time. Today On Sunday Live we feature lots of new music, some of our features are; Paul Shaffer & The World’s Dangerous Band, Jason Eady, Fastball, Chuck Berry, Blondie, Chris Cornell, Pink Floyd, Trombone Shorty, Pitbull, CJ Ramone, Michelle Branch, Red Hot Chili Peppers, Gorillaz, Afghan Whigs, Methyl Ethel, Stone Senate and more . . . Check it out live today at 12pm on RadioMaxMusic. This week on the Vinyl Resting Place it’s all Pink Floyd. Join Willie B with “Dark Side of The Moon” and more!